A native Texan, Sheriff Anderson attended Tarrant County Junior College and the University of Texas at Austin, where he majored in journalism Before joining law enforcement, he worked at various newspapers as both a reported and an editor. He and his wife, Rebecca, have been married since 1985 and have three children, Kelly, Hannah and Ben. Dee Anderson retired as the 34th Sheriff of Tarrant County in January 2017. He served four terms (16 years) after winning a historic election in 2000, defeating an incumbent Sheriff and six opponents in a primary election without a runoff. He is credited with taking a struggling organization and turning it into a professional law enforcement operation once again widely respected in all areas. 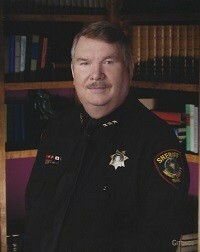 In 2006 Sheriff Anderson was named Sheriff of the Year by the Sheriff’s Association in Texas. Despite only serving in his second term, he was chosen as the top Sheriff among all 254 Texas Sheriffs for that year. Sheriff Anderson began his law enforcement career at the Arlington, TX. Police Department in 1980. He served as a patrol officer, field training officer, certified accident investigator and Tactical (SWAT) officer while assigned to the patrol division. In 1986 he was promoted to a command staff position as the Media Relations Coordinator, handling all media contacts for the department. 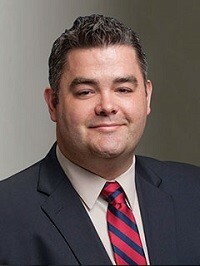 He gained national recognition or handling numerous high-profile cases and was awarded the Pinnacle Award for Excellence and a Medal of Merit by his agency for his efforts. In 1996 Anderson was again in the national spotlight during the kidnapping of Amber Hagerman, a nine-year-old Arlington girl who was later found murdered. The tragic case prompted Anderson to co-found the “Amber Plan”, a cooperative effort between law enforcement and the media to instantly alert the public in case of a child abduction. After originating in the Arlington-Dallas-Fort Worth area, the plan exploded nationally and internationally, being copied all over the world.